The AdventureWorks database is a sample database helpful for those who are new and learning relational database management system. Sample database contains database objects like the tables, stored procedures, function, triggers, indexes and sample data. 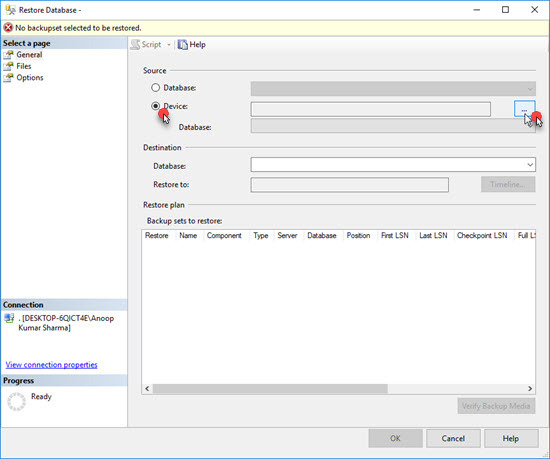 Whenever a new version of SQL Server released, those newly added features will be added to Sample Database. 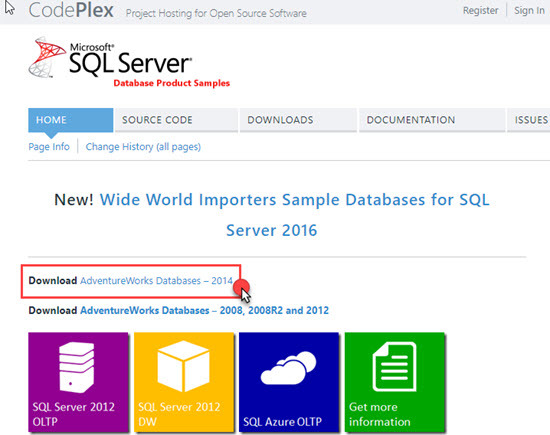 In this article, we will see How to setup AdventureWorks Database in Microsoft SQL Server. 1. 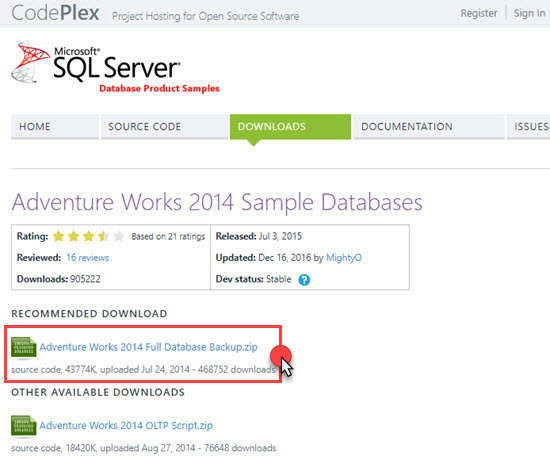 Visit this URL: https://msftdbprodsamples.codeplex.com/ and Download AdventureWorks Database. 2. 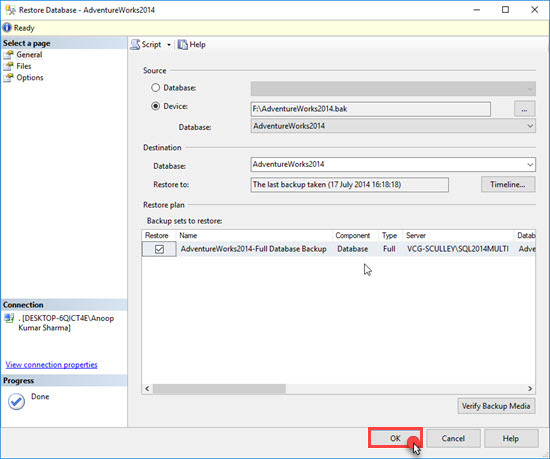 Click on Adventure Works 2014 Full Database Backup.zip link. 3. After Downloading, Extract the database backup file. 4. 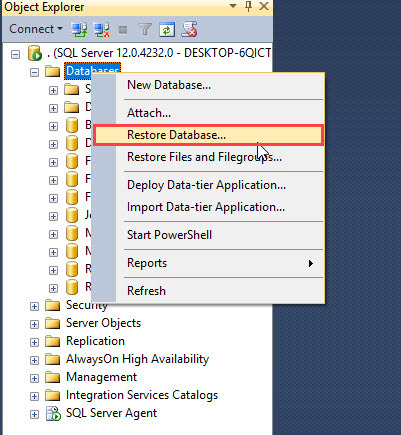 Open SQL Server (I am using SQL Server 2014) and Right click on Restore Database. 5. 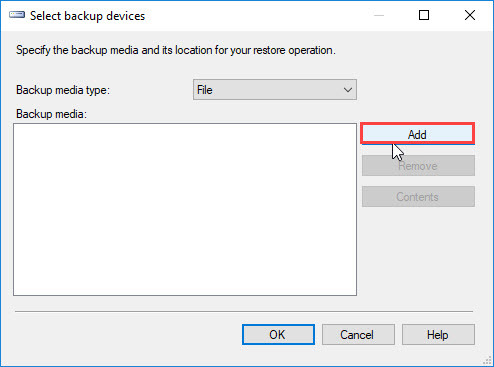 Select Device and click on the ellipse icon to select the backup media. 6. Click on Add button and Select backup file (Downloaded and extracted earlier in the above steps). 7. 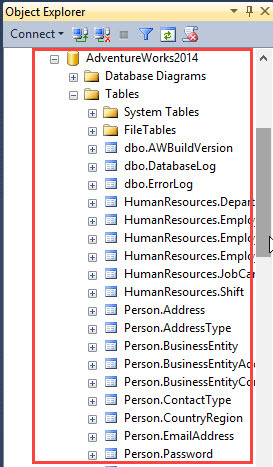 After selecting the database, click on Ok button. 8. 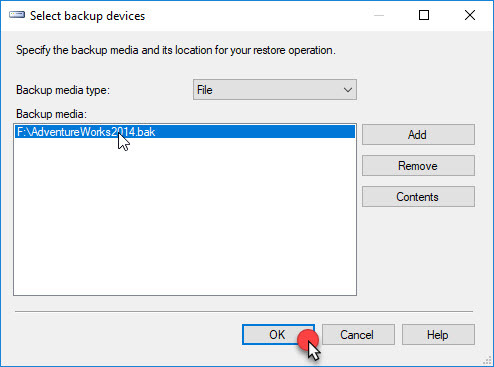 Click on OK button in Restore Database dialog. 9. 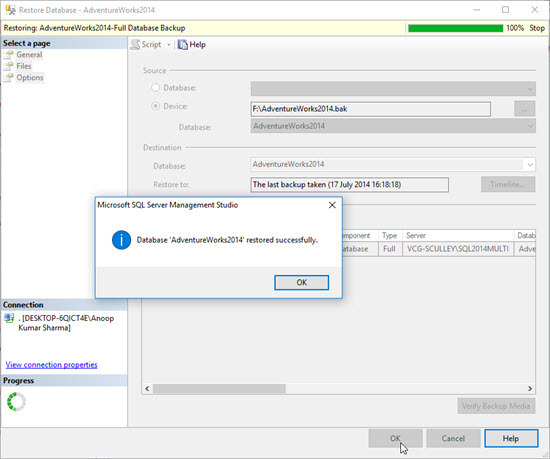 Refresh database folder and you will set Adventure Database is successfully installed.